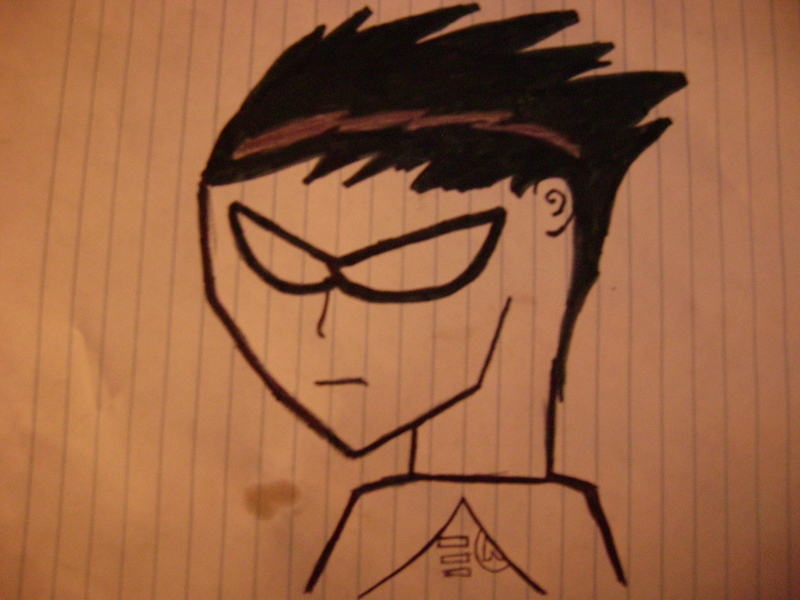 A REALLY bad Robin i drew. . HD Wallpaper and background images in the Los Jóvenes Titanes club tagged: robin teen titans. and i got pizza drip on the page. i like it! your style of drawing is so different from mine...it cool! its not toootooo bad :] keep drawing! you'll get it!!! i don't draw very much cuz i know it will turn out bad.somtimes it turns out good tho. well it IS a pizza drip...me and my friend had some really juicy pizza. You think this is bad? You haven't seen any of MY drawings of him.